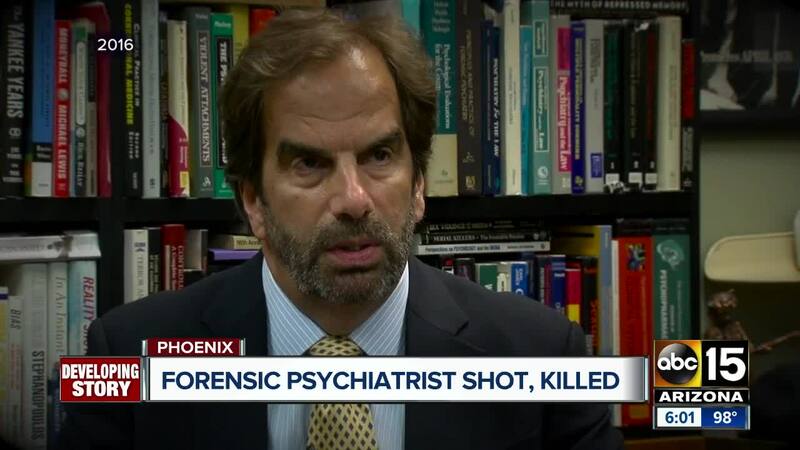 Steven Pitt, a well-known forensic psychiatrist in the Valley, was shot and killed Thursday evening in Phoenix. Police were called to an office complex near 71st Street and Bell Road around 5:30 p.m. after receiving reports of gunshots. When officers arrived, the 59-year-old was found “critically wounded,” a police spokesperson said. Witnesses told police that they heard a loud argument and gunfire Thursday outside Pitt's office. 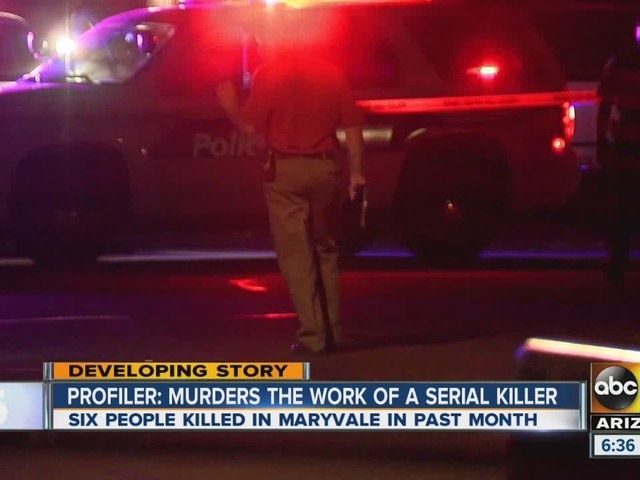 It's not yet known whether or not the killing was connected to his work. 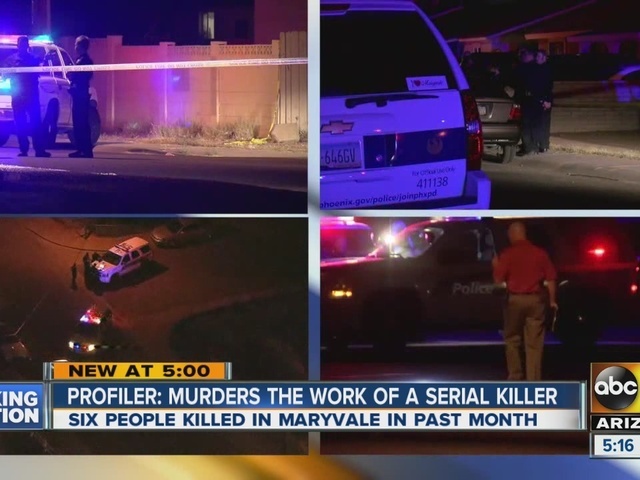 ABC15 has talked with Pitt for many high-profile cases in the Phoenix area, including the Baseline Killer and more recently, shootings in the Maryvale area. 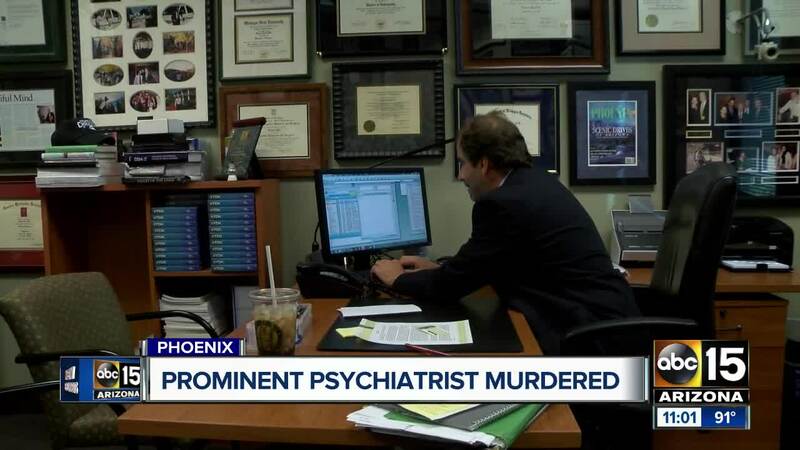 Pitt also assisted in other national cases, like the investigation into the death of 6-year-old JonBenet Ramsey, who was found dead at her home in Boulder, Colo. The suspect left the scene of the shooting involving Pitt. He is described as a Caucasian man who is bald, and was seen wearing a dark-colored hat with a short brim. Anyone with information regarding this deadly shooting is urged to call 480-WITNESS.